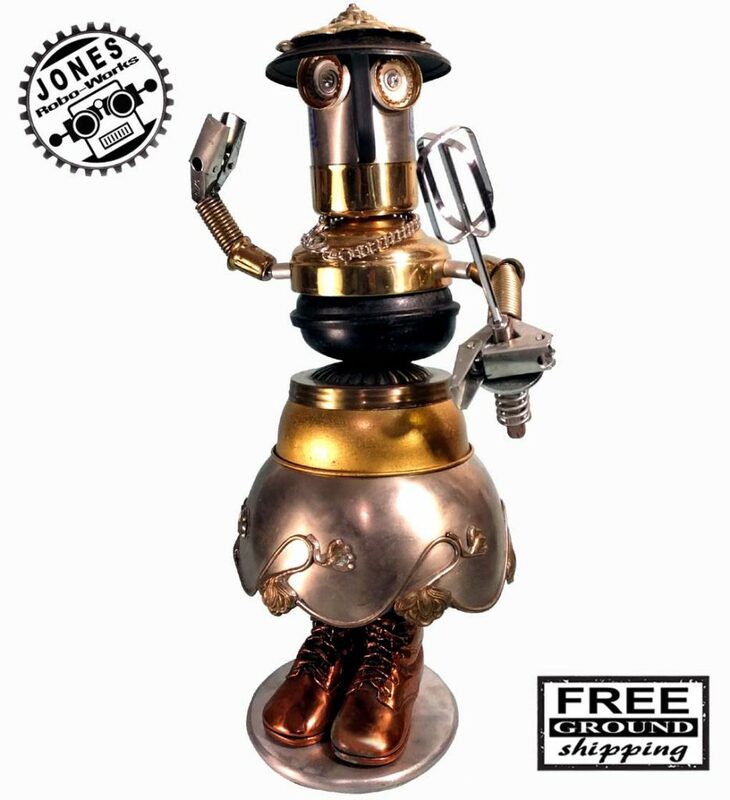 Introducing the Jones Robo-Works, Don Jones Miss Prime Bling Bot Steampunk Robot Sculpture. 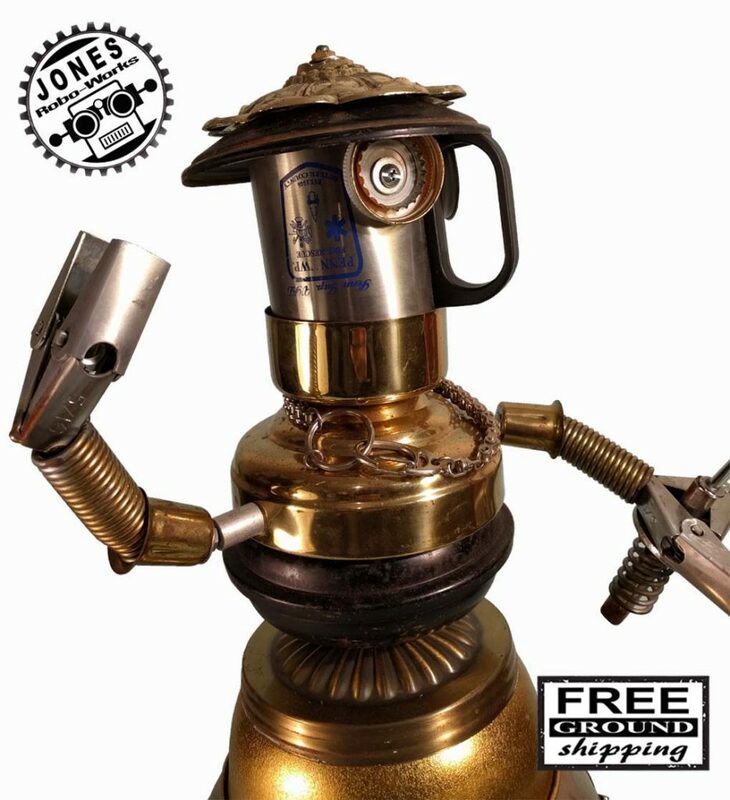 This beautiful robotic statue is another piece of robot art created in the true classic vintage steampunk tradition. Miss Prime is a true Fem bot Weighing 7 pounds and measuring 21 inches tall, 11 inches wide and 8 inches deep. 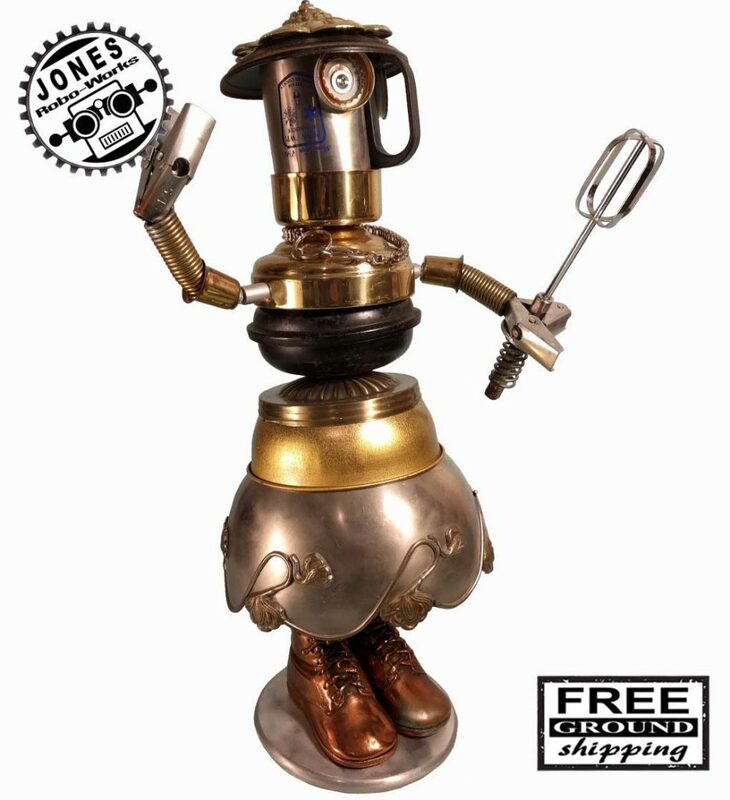 Prime’s Mixer beater wand can be removed and replaced with a robot accessories of your choice such as a flowers! 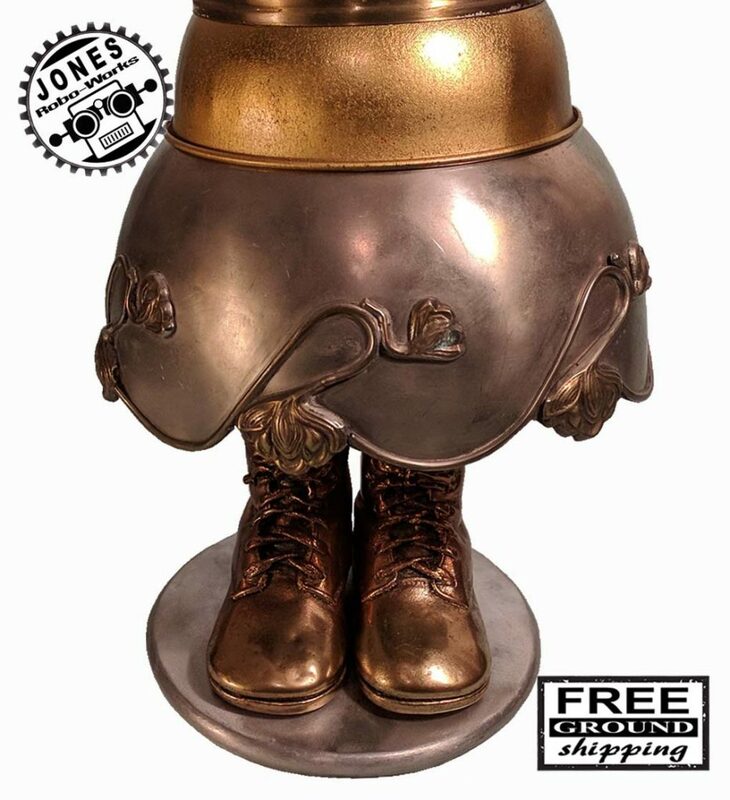 Her shoes are a a pair of vintage bronze baby shoes. 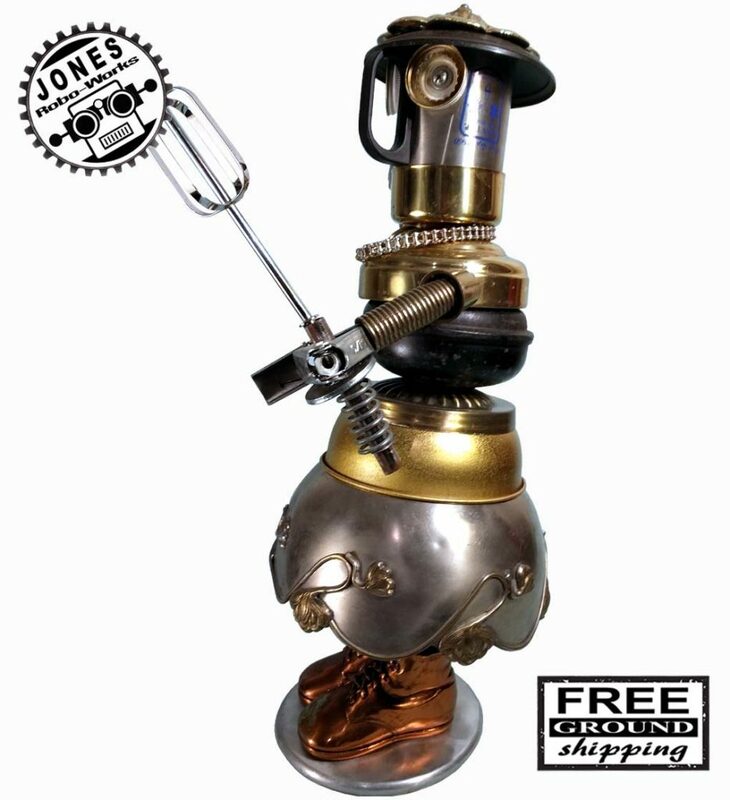 This piece is sculpted from a collection of assemblage of robo parts such as old lids, vintage lamp parts, springs, steel parts, a bowl and various other items. 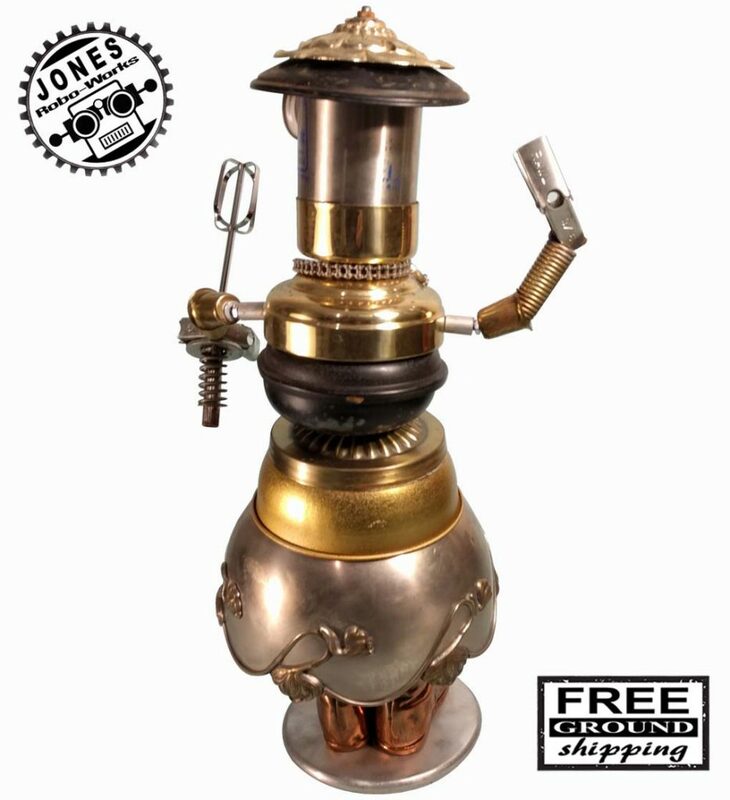 Miss Prime Bling Bot is intended as an indoor display piece. This piece can be purchased by using the buy it now PayPal button where you’ll be directed to a secure separate PayPal page. You can then finish your purchase using your PayPal account, credit or debit card. 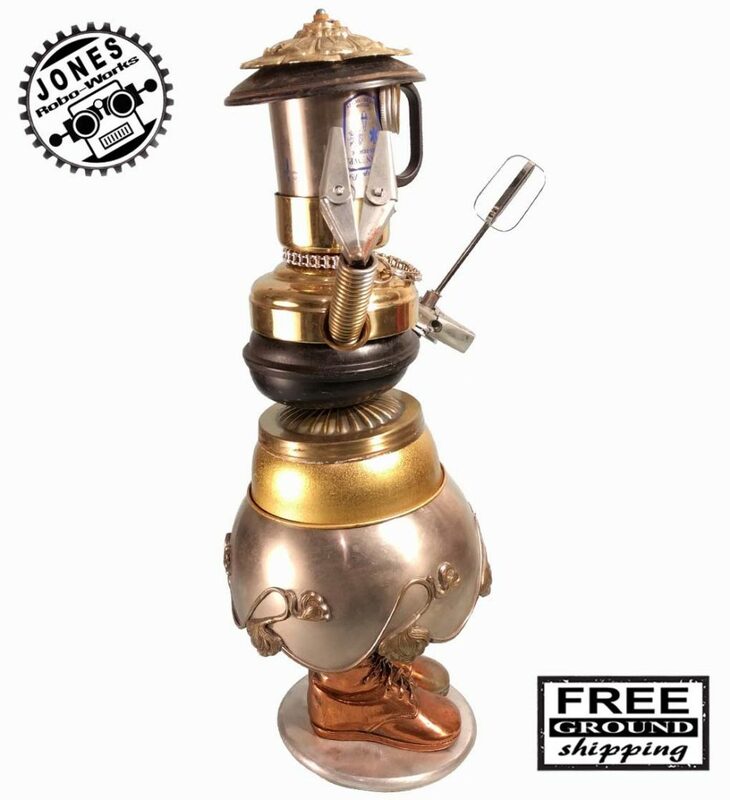 This Miss Prime will shipped free using a ground shipping service to the lower 48 USA states. Shipping, tracking notifications are sent after your robot is mailed.